​A Quick Message & Get A Quote! Shapes, sizes, and color are the main factors in the aesthetics of your home's roof appearance. There are a number of roofing options available and they range from asphalt shingles to metal roofing. Making the upgrade on your home to a new roofing system allows you to add value to your real estate. 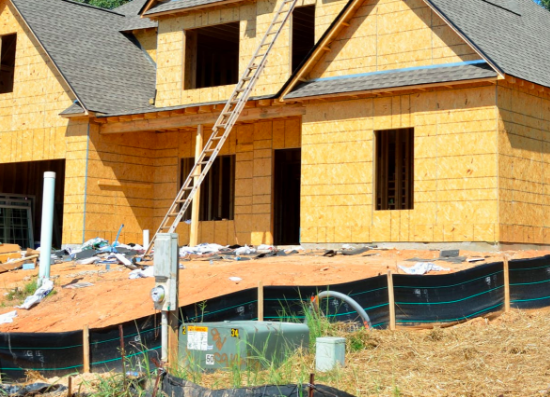 Roof framing is always imperative to support the roofing of your choice. Beyond that however, is lots of different looks, styles, and colors to choose from. If you're choosing a new roof, please ask yourself these questions: How much weight is the material you wish to add? If you currently have asphalt shingles and would like replace with clay tiles, you're adding a lot more weight (requires added framing). Is the local fire code permitting of the material you wish to install? Do the styles and colors complement the rest of the home's aesthetics? (Home Owners Association Approval Needed?) Does the material require any special maintenance or installation procedures? What impact does your roofing choice have on how well your coachella valley home stays cool in the hot summer? Is the cost, estimated life span, and warranty make sense economically? Once you can answer these questions, you will have determined the best decision for your home. Decorative Metal Roofing comes two main types, many styles and colors. click for more. Roofing in Palm Desert has been changing over the years. Metal Roofing is becoming more popular as the years go by. Metal Roofs are very resistant to extreme weather conditions. They're available in typically two types, panels and shingles. Metal roofing materials are made of aluminum, copper, stainless steel, and zinc coated steel. They look sleek, are long lasting, recycleable, lightweight, and provide a great source for collecting rain water. 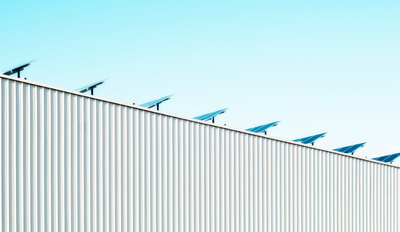 The positive aspects of metal roofing: It lasts longer than asphalt or wood, reflects sunlight and solar radiation, and is very durable. The down side: A little bit more expensive vs asphalt shingling. Metal Roofing usually looks best on cabins, contemporary, cottage-style homes and bungalows. They typically start around $100 - $300 a square (100 square foot) and high-end metal roofing (exotic metals) can start at $600 - $800 a square. Metal roofing should last 40 to 75 years depending on what type of metal and the style. Wood or Cedar Shake Roofing for that rustic look. click for more. Wood Shingles and Shake has been the most common roofing choice for hundreds of years. Homeowners just loved the attractive weathered shade of grey that they take on after they become weathered. Shake is handmade and is bit rougher looking than wood shingles (which are saw cut smooth). If you reside in a fire prone area (up in the mountains for example: Idlewild) you may want to chose shingles that are Class A fire-rated. The upside to these is a rustic, more natural looking material made from Cedar, Redwood, and southern pine. The downside is that firecodes typically prohibit the use in arid regions, and they are prone to splitting, rotting and molding in wet regions. Shake is more commonly found on Cape Cods, Tudor, Bungalow, Cottages and Craftsman style homes. They typically last around 25 to 35 years and costs around $100 a square (100 square feet). Clay tile or Spanish Tile Roofing is very popular in the Coachella Valley. click for more. Spanish Tile or Clay Tile adds a brilliant texture and elegance to a roof. Flat, scalloped, or ribbed clay tiles are very durable and very heavy. This is why these clay tiles must be installed by a professional. 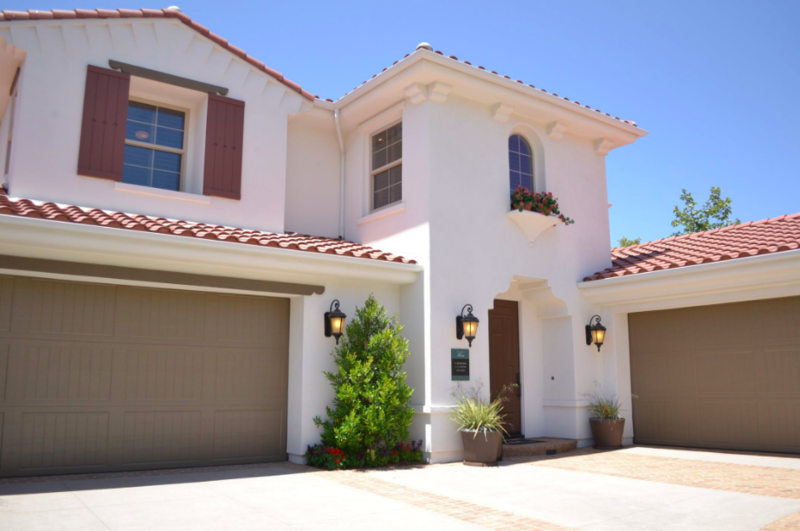 Palm Desert Roofing has decades of experience installing these heavy clay tiles. The positive side of clay tile: Long lasting and are non-combustible (meets most fire codes), and are super energy efficient. The down side of clay tile: A bit more expensive, heavy, and will require additional framing support vs asphalt shingles. 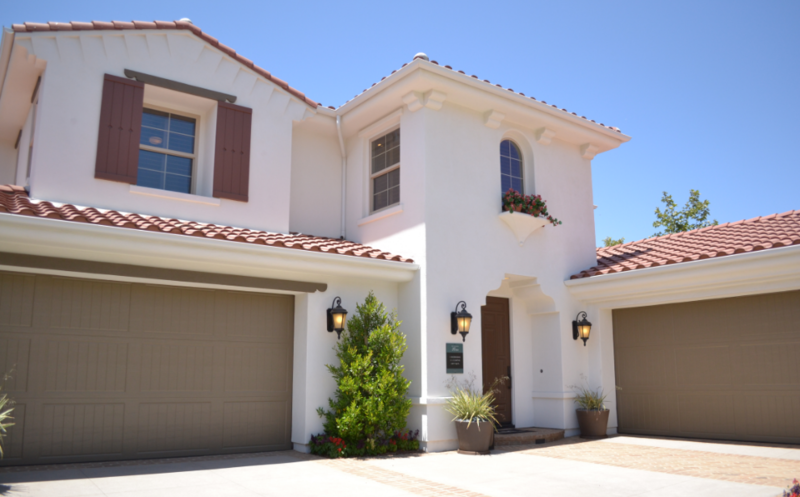 They look great on Mediterranean, Mission, Palm Desert stucco homes, and Spanish-style homes. These clay tiles can cost from $300-$500 a square (100 square feet), and if maintained properly, should last 40 to 50 years. Slate Tile roofing comes in various styles and colors. click for more. Palm Desert Roofing installs beautiful Slate Shingles. Slate offers a distinctive elegance and beauty. They come in all a variety of different shades of red, green, grey, black, and even purple. The beauty of slate is: Very durable, fire-resistant, and is a sustainable roof that is easily recycled. The downfall of slate: It's quite expensive, and requires extra roof bracing because it's heavy. Slate primarily looks great on French Chateau, Colonial, and European style homes. Slate is quite expensive, starting off at around $600 a square (100 square foot area), but it will last up to a century on your home. There are many different colors, shapes, and sizes of Shingles or 3 Dimensional Shingles. click for more. Roofers in Palm Desert will tell you the most common roofing material is asphalt shingling. Palm Desert Roofers love installing asphalt shingling because it is economical and easy to install. 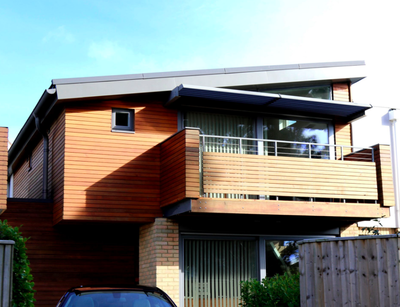 This type of shingle can be reinforced with either organic or fiberglass materials without affecting the aesthetics. The pros of these types: They are available in a variety of colors, one of least expensive, and most widely available on the market The Cons of these types: They have a shorter life span than other roofing material, and doesn't provide the thermal properties and characteristics of other roofing material. Palm Desert Roofing picks only the middle to best grades of asphalt shingling for our clients. These shingles work with many different styles of homes. Asphalt shingles typically cost between $75 - $125 per square (100 square feet) and usually last between 20 to 25 years. EPDM-Rubber Flat Roofing for common Commercial and Industrial Roofing Applications. click for more. Modified Bitumen for Commercial and Industrial Roofing Applications. click for more. There are a number of types of Modified Bitumen Roofing applications on the market. SBS (styrene-butadiene-styrene) roofing systems incorporate a synthetic rubber-based property that yields exceptional flexibility, even in very cold climates. A standard SBS modified Bitumen system is a two ply asphalt or cold adhered system, but can be formulated for torch down installation method. This system is where the rolls over lap the previous roll. SBS Modified Bitumen membranes may be installed in hot asphalt, cold adhesive or torch down (heat welded). Triple-Ply Modified Bitumen is essentially an extra layer of asphalt impregnated roofing sheeting known as roofing felt. This type of felt application is used in BUR (or built up roof) membranes. This type of roofing system is popular in US Commercial or complex buildings for over a century. BUR roof systems are made of alternating layers of bitumen and reinforcing, overlapping felt rolls. This system is usually referred to as "tar and gravel roofs." APP Modified Bitumen membranes is applied by the torch down method and the bitumen begins flowing like melting wax after it exceeds 300 degrees Fahrenheit. ​PVC Membrane style roofing for Commercial Applications. click for more. PVC Plastics, Rubber, and Polymer Roofing will make your home look like it has real wood shingles or slate tile on your roof. They are specially engineered roofing products that are fire-resistant, very durable, and easy to maintain. Palm Desert Roofing will have the manufacturer's warranty for these products available a head of purchase. This is the latest and greatest of Residential Roofing technology, and we're definitely on the ball with this new application. The upside to the polymers and rubbers is that they're not nearly as fragile heavy or expensive as the natural products. The downside is that some of them have been known to absorb water, and we're still checking through the products for quality. They seem to look great with all types of housing designs and architectural styles. They're starting off around $300 a square (100 square feet) and generally have a warranty of up to 50 years on the products we've seen. Steep Slope Roofing Systems For Commercial roofing applications. ​Click for more. Palm Desert Roofing has exactly what it takes to analyze, inspect, repair, replace, or install the roof you've always wanted. Whether it's commercial roofing or residential roofing, we're right at the top of the reliable roofing contractor list, especially if you're looking for quality Roofers in Coachella Valley! If you're in need of a roofer or roofing company to handle foam roofing, roof repair, roof installation or roof replacement, than you've definitely come to the right place. Your roof is perhaps just as important as your foundation. 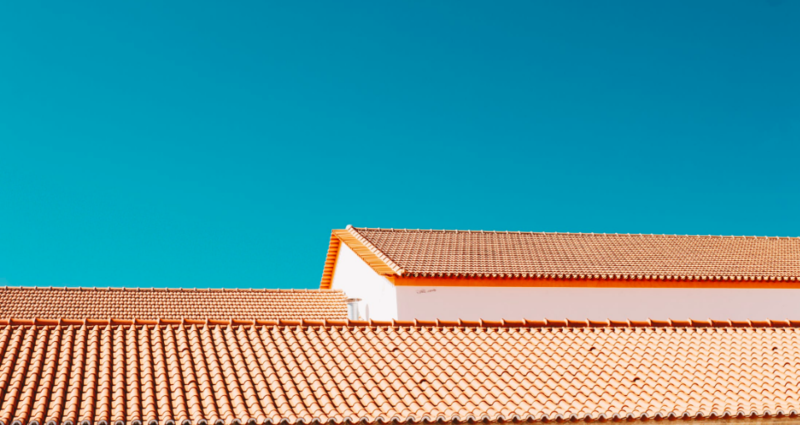 Your roof does a number of things to protect you from the elements, and it will also save a ton of money if it's in good shape. Does your roof leak or is your roof leaking? 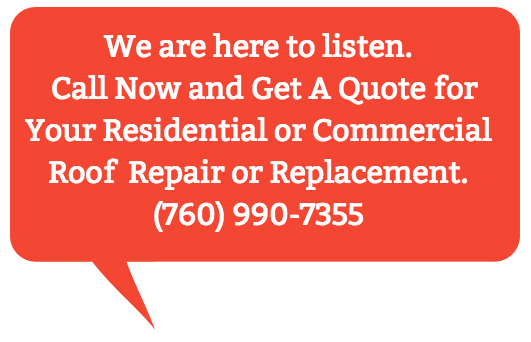 A leaking roof repair in Palm Desert is necessary if it is not in good shape. Not repairing a roof is about as good as throwing your hard earned money right out the window. Proper roof maintenance in coachella valley, will keep the cold air conditioning in your home during the blistering hot California summer heat, and it will keep the heat in during the few months we need to use our heating systems. A quality roofing installation will also prevent costly drywall repair from leaking rainwater, and it also protects against the possibilities of mold growing in your attic space and walls. ​How long does it typically take to complete work on my roof? 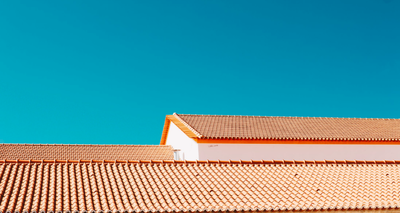 ​Typically it can take a few days for a residential roof (of course, if your roof is very large - or if substantial repairs are required - it could take a bit longer). Weather can have an impact in the process: If it's extremely hot as it can sometimes get or severely windy as we all know, the could be those delays. Keep in mind that we'll always ensure the roof is water tight from beginning to end for that chance of rain. 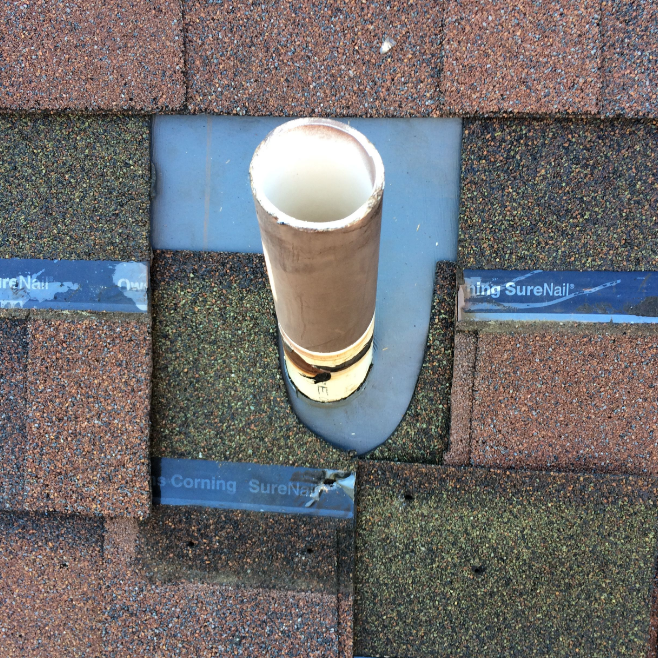 Do you have to tear off the existing shingles, or can you cover over them? ​Most roofing installations should be evaluated on a case by case basis. Sometimes we can, depending on your roof and the condition of the roof. In order to guarantee long term performance and quality, we generally recommend tearing off existing materials, and inspecting the decking (as well as the general integrity of your roof structure). We have roof flashings. How do you handle this? 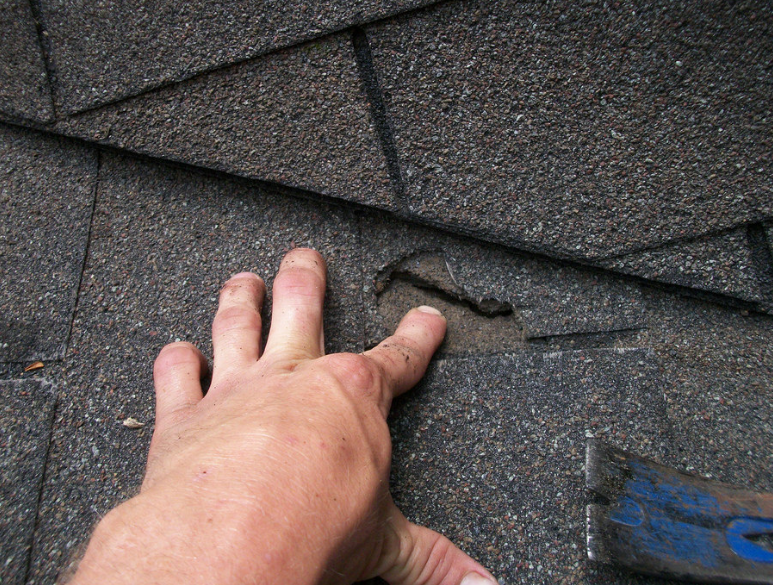 ​The most important areas of your roof have flashings. Flashings are used wherever something intersects the roof. 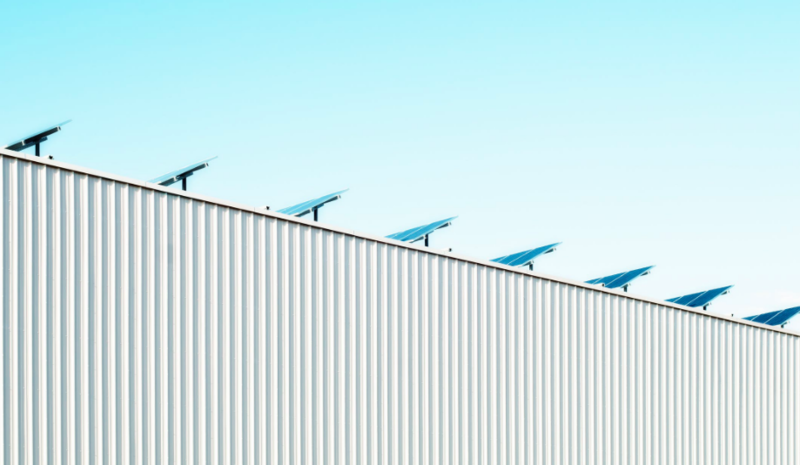 Various materials can be used to protect these areas: sheet metal (copper, galvanized steel, aluminum), ice and water shield, membranes, and sealants can be integrated at siding, chimneys, walls, gutter lines, skylights, pipes, and vents. Flashing can be the most critical aspect of your roof and we recommend new flashings. However, if the existing flashing is in good shape they can sometimes be re-used. Once you've finished the job, do you clean everything up? Before we conclude our final inspection of the roof and surroundings, we'll rake and sweep all debris from the roof and around the house (sidewalks, driveways, etc.). Then we'll use nail magnets to find any hidden nails. This ensures a happy customer and safe environment. Do you carry liability insurance and workers' compensation insurance? ​You'll never have to worry about what would happen if one of our workers were to get injured while working on your home or business. We are fully insured for both workers' comp and general liability coverage. We will provide certificates of insurance upon request. How much experience roofing do you have? ​Palm Desert Roofing has been around for over a decade. We are happy to provide you with a list of references that will confirm that we do our work as promised. We guarantee quality craftsmanship, and provide knowledgeable answers to any questions you may have. ​Removing and replacing of the gutters will allow for easier installation of ice and water shield. Ice and water shield seal the outside edge from water infiltration in windy conditions (or cold weather icy conditions). We can replace gutters regardless of whether you purchase a new roof or not. We install copper, galvanized steel and aluminum gutters. Our roofing experts will be able to determine whether or not you should consider replacing or reinstalling the existing gutters. Ice and Water Shield is a protective underlayment that's applied over the wood roof decking prior to any shingles. Ice and Water Shield helps prevent water infiltration, and sometimes we'll add Ice and Water Shield along the eaves, around chimneys, skylights and in all valleys. We typically do not need this, as the weather in the valley doesn't get very cold. However, it does add another layer of protection against the high winds in certain cities. ​If you're looking to have new skylights added to your roof, there's no better time to have the work done than when you're replacing the roof on your house. We'll come out and diagnose the problem to the best of our ability if you're experiencing a leak in your existing skylight. Skylights on shingle roofs have become much more common, and affordable. If you'd like to add a skylight let our estimators know and we will provide you with a variety of options. Commercial Roofing Repair and Replacement. Click for more. Palm Desert Roofing has tons of experience with commercial facilities like the one pictured below. We have the staff, equipment, insurance, bonding, and knowledge to put on an impressive, built-to-last roof on your facility or commercial building. Let us know what you're looking for, and we'll make sure your building is looking outstanding in the Coachella Valley crowd! Call or email us today! We're licensed, insured, and bonded, so you can follow our record of service. They represent more than decorations on our walls. Palm Desert Roofing has state and national professional organizations keeping us connected to the best resources in the roofing community. You won’t offend us by asking for proof of licensing or liability insurance. Every reputable contractor should have both. If you’re concerned with getting a contractor who is attentive and reliable, choose one who is centrally located (like in Palm Desert for example). That’s your best bet for getting answers when you need them and quick service. Just another reason to hire Palm Desert Roofing, we're located in an easy access location to I-10 and we cover the entire Coachella Valley. We understand that accidents and unforeseen issues arise with houses around the valley. Sometimes, damage caused by the weather or falling trees from high winds creates a need for an emergency roofer. Luckily, we’re here to help. We'll handle your emergency by bringing out items to isolate the damage, and we'll include a quick turn around emergency roofing job. We’ll put special priority on your emergency roofing job after an accident, storm or other unpredictable accidents. All contractors have "their way" of doing things, but that can be dangerous on a job site, and it could also be dangerous to the long term integrity of the roof or substrates. We adhere to the best industry practices, as laid out by the Construction Specification Institute. There’s a lot to know about roofing or re-roofing your home or business, and choosing a contractor is not a decision that should be taken lightly. We don't expect you to be an expert on the subject, and that's why it's our job to educate you on hiring the right roofers in Palm Desert California. How do you know you're dealing with a reputable roofing company? Your first sign that a roofing company is reputable is that they will be willing to answer all your questions. No question should seem too simple or ridiculous. If a company ever makes you feel like your questions are unwarranted, they're probably about that concerned for your property. Palm Desert Roofing will answer all your questions with honest, intelligent answers. Its in everyone's best interest to make sure you're comfortable with your decision. ​ Another thing you'll notice about us, is an enthusiasm for what we do. You’ll hear us talk about past jobs we’ve completed with enthusiasm, and about some of the clients that we are so honored to have worked with. Every employee we have is knowledgeable about what we do, how we perform the work, and why we do what we do. You’ll be able to see that as soon as you meet with us. We don’t want any surprises either after we get started or when the job is completed. It’s our business as licensed roofing contractors to do the best work for each and every customer, and that includes excellent customer service! ​ If you're looking for a new roof for your home or business, we'll be there for you when you're ready. We guarantee our work, and you'll be glad you called us! We promise you'll be satisfied! Call us today!